Summer is officially here in New England and it's nice and hot...just how I like it!!! The kids are officially out of school now and we're just travelling and doing fun things. I was so busy last month that I didn't even get a chance to create the newsletter so this month you're getting a packed newsletter with tons of announcements and a big "inspiration gallery". 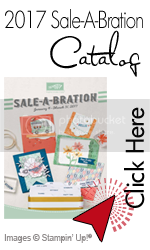 Stampin'Up has outdone themselves this year and have gorgeous paper packs. This month, if you get three packs you get the fourth one free. 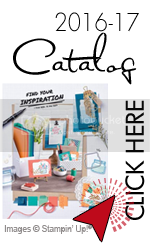 Stampin'Up has their new alcohol based markers and they are called blendabilities. You can see all the colors here. Here's a video showcasing these wonderful new markers. 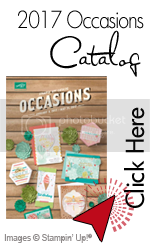 Did you forget that Stampin'Up has weekly deals starting on a Tuesday of every week? Check out these discounted products for this week only. Even though I will be with my family all summer and travelling, I will have my computer with me so feel free to contact me via e-mail (laura2471@yahoo.com) with anything related to Stampin'Up.